Here at Transforming Faces, Canada’s go-to non-profit organization for worldwide cleft care, we’re passionate about providing comprehensive care to those who have been born with cleft lip and palate. As we’ve established ourselves as an organization for the welfare of cleft patients around the globe, our reach has only grown. Through the support of our amazing donors and the continuous efforts from our global partners, we’ve been able to help thousands of children who otherwise might have had no hope of cleft care. Not only does Transforming Faces work to bring awareness to cleft lip and cleft palate around the world, but we also work to support and uplift our global partners who are the hands and feet of what we’re about. Since comprehensive cleft care is about more than just a quick fix surgery, we understand that sometimes it can also take years of speech therapy, dental work, family counseling, and more to get a child with cleft onto a successful path of healing. We work to provide that to every child whom our organization encounters. With each donation that comes into our worthwhile charity, we’re able to do more and more for the cause that we wholeheartedly believe in. We’re not thought of as one of the best children’s charities for any other reason than the fact that we’re eager to make a difference. Consider investing in the life of a child who has been born with cleft lip or cleft palate with a one time gift or a monthly donation to our cleft cause. Donate now! With important work being done all over the world, Transforming Faces has made great strides in the past decade to expand — both geographically, and in terms of the level of care — the cleft services that we provide. As our reach expands, we look forward to getting a “foot in the door” in so many other countries around the world. For now, let’s discuss some of the work that our Transforming Faces cleft care team is doing in a variety of different countries. Officially known as the Argentine Republic, Argentina is the second-largest country in South America when it comes to area and the third largest in population. Sharing most of the Southern Cone with Chile to the west side, Argentina is also bordered by Bolivia and Paraguay to the north, Brazil to the northeast, Uruguay and the South Atlantic Ocean to the east, and the Drake Passage on the southern border. Since 2006, Transforming Faces has been partnering with the Fundacion GAVINA, which is based in Tucaman. Some of the current focuses include providing comprehensive cleft care services for children in the north part of the country and advancing cleft care awareness and training throughout all of South America. By providing reconstructive surgery, speech therapy, dental care and orthodontics, social work, and counseling, we’re able to help more kids than ever! Because of this, your support of our children’s charity is incredibly valuable and even vital to our continued work in Argentina. Since 2017, we’ve had the privilege of partnering with Asociación LPH, a San Jose based children’s hospital that has been able to expand our cleft care to this beautiful country. Our goals in Costa Rica have been to provide newborns with immediate cleft care so that their treatment can begin on time. For a person who has been born with cleft, it’s vital that they start their comprehensive care at the earliest age possible for the best chance of developing well. However, since infant cleft care isn’t always possible for some families in certain places, we also are passionate about being able to provide teaching and open communication to Costa Rican children and adults with cleft. 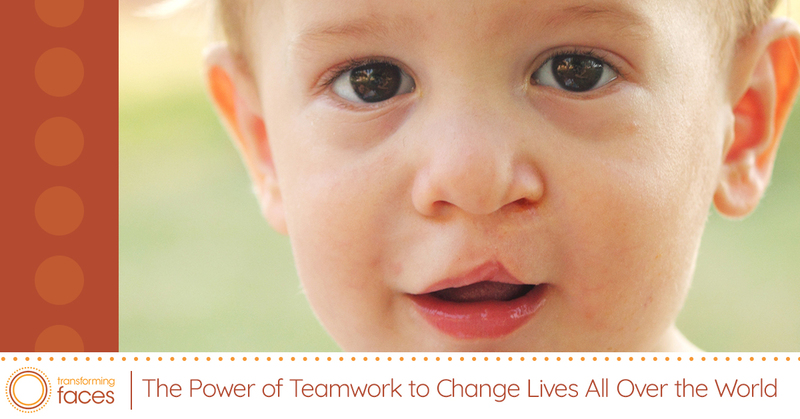 We are striving to improve speech in children and young adults with cleft palate and cleft lip. Our work in Chile has been a focus since 2012 and we’re not slowing down anytime soon. Partnering with Fundación Gantz, which is based in the city of Santiago, we are investing in building capacity for our valuable work there, in addition to supporting the cleft specialists in sharing their knowledge with other professionals in the region. Some key challenges in Chile include a high demand for cleft care services and we’d love to see our reach expand to more and more kids who need our help. You are integral to that mission; your support of our smile charity means that more children can receive life-giving care! Bringing cleft lip and cleft palate awareness to countries of this world is no easy task, but with our global partnerships, we’re finding ways to do just that in Ethiopia. By partnering with Yekatit 12 Hospital & Project Harar Ethiopia which is based in Addis Ababa, Transforming Faces has been able to support Yekatit 12 Hospital as it is Ethiopia’s only comprehensive cleft care center. We’ve been working in Ethiopia since 2007 and each year, we’re able to help more and more children with cleft. Current challenges include the stigma that comes with cleft in that area; many locals believe that cleft lip and palate is the result of a curse. Additionally, there is a massive shortage of trained speech professionals. There is currently only one in the whole country. Partnering with the Sri Ramachandra Medical College & Research Institute, (SRMCRI), since 2007, our work in this country of 1.3 billion people is more important than ever. We are currently working with the top speech, orthodontic, and dental specialists to give care and aid for families in the Thiruvannamalai and Cuddalore districts. We’re trying to ensure that care is accessible to those in remote and rural communities, and we’re also trying to train more community-based workers to be able to provide home visits. As you may assume, with such a large country and so many people to help, one of our biggest challenges in India is getting to everyone who needs comprehensive cleft care. With your help, we’ll change more lives every day. The Republic of Peru is a country in western South America and since 2016, Transforming Faces has been partnering with Universidad Peruana Cayetano Heredia, (UPCH), our Lima-based clinic by expanding the reach of comprehensive cleft care to this country of 29.7 million people. Current challenges in Peru include the need to reach more of the rural communities in which comprehensive cleft care is almost non-existent. With the help of our generous donors, our charitable organization can continue our work in Peru. Working in Thailand since 2001, Transforming Faces is partnering with the Northern Women’s Development Foundation — based out of Chiang Rai — to help ensure children and families in northern Thailand and Laos can receive comprehensive support. Current challenges include a shortage of cleft professionals and long travel distances in a country of almost 70 million people. Please consider supporting our efforts in Thailand with a monthly gift today! Between Thailand, India, and Bangladesh is the little country of Myanmar, (also known as Burma). As a country in southeast Asia and has a population of almost 53 million people, Myanmar is in desperate need of cleft care providers. With the help of our partners, the Northern Women’s Development Foundation, (NWDF), which is based in Tachileik, we’ve been providing cleft care to people in this area since last year. Not only are we working to ensure comprehensive care to people with cleft lip and palate, we’re making valiant efforts to bring speech therapy nearer to patients’ homes through the use of mobile and community-based speech camps. Though we’re still facing many challenges in Myanmar, such as long travel distances for families, language barriers, and a major shortage of cleft professionals, we’re making huge improvements in Myanmar. 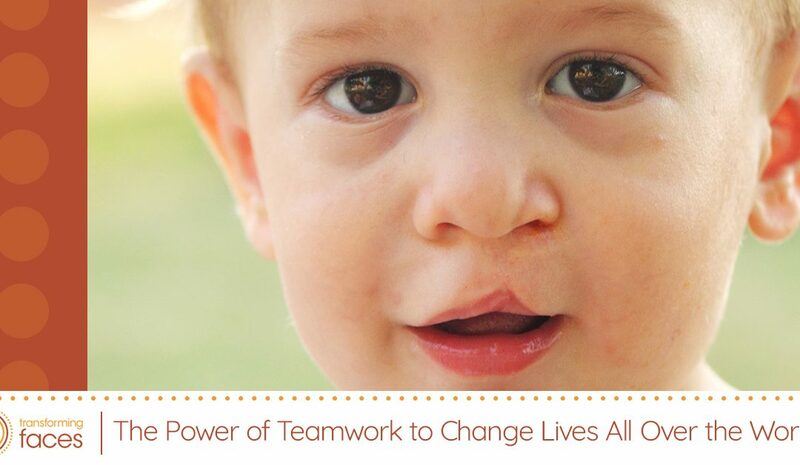 No donation is too small, and no amount of cleft awareness is a lost cause. As an organization that is passionate about bring comprehensive cleft awareness and cleft palate care to the masses, we’re willing to use whatever we can to help spread the gift of comprehensive cleft care around the world. Consider donating to what we do! Your monthly donation can literally mean the difference between a child’s beautiful, healthy smile, and a lifetime of breathing problems, dental issues, and shame. Help us help them. Donate today and take part in transforming lives — one smile at a time.